Bump stocks aren’t needed to bump fire. A rubber band can be used to bump fire. After the Las Vegas shooting, “Bump Stocks” have been shoved into the limelight. Bump stocks are tools which use the recoil of the rifle to rock the rifle allowing the rifle trigger to get pulled in rapid succession – simulating something close to automatic fire. The subsequent scare from the uninformed public got politicians to the worst anti-gun bill to date, banning all devices designed to increase the rate of fire of a semiautomatic rifle. There’s a significant problem with this bill. This bill won’t stop actual bump firing. Instead, it will just ban other firearm accessories such as improved triggers for rifles and similar devices. Furthermore, someone can simply pull the trigger very quickly and simulate fully automatic fire. 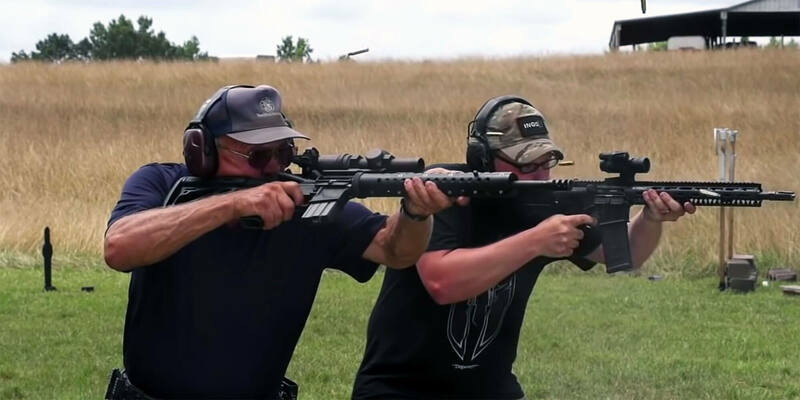 Jerry Michulek has been clocked as faster than a bump stock and just as fast as an actual machinegun. Bump firing semi auto rifles has been around for a very long time – longer than bump stocks. Bump firing can be accomplished free hand without the use of any tool. Bump firing can also be accomplished with simple objects such as rubber bands or dowel rods. 26 U.S.C. § 5845(b) For the purposes of the National Firearms Act the term Machinegun means: Any weapon which shoots, is designed to shoot, or can be readily restored to shoot, automatically more than one shot without manual reloading, by a single function of the trigger. Based on this definition, a bump stock does not modify a firearm to meet the legal definition of a “machinegun.” Since the ATF cannot redefine it, Congress is the only entity that can currently ban bump stocks all across America. Now that we’ve illustrated that bump firing is possible without a stock and that the ATF cannot currently ban bump firing, let’s look at the effectiveness of bump firing. In short, bump firing is horribly ineffective at most everything. Bump firing is a gimmick to make a lot of noise at a range and have fun. In the real world, it has little to no practical use. 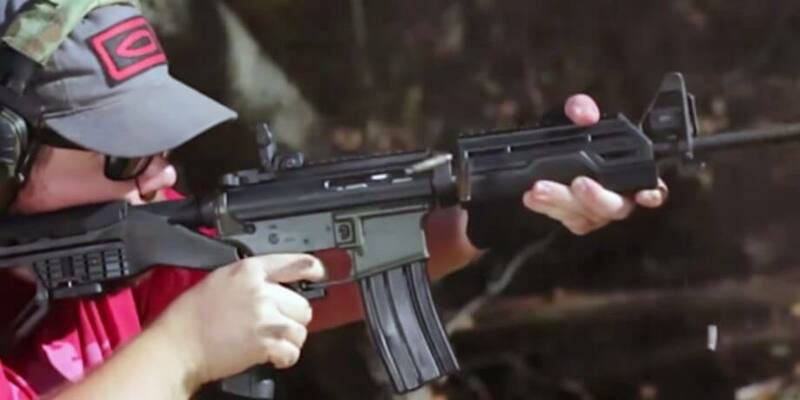 Bump firing, even with a bump fire stock, requires practice to work correctly, is horribly inaccurate, and can only be reliably used from a stationary position. You cannot effectively bump fire from any dynamic shooting position, such as leaning around a corner or moving while shooting. In other words, you cannot effectively bump fire from any of the types of positions that would be used in a real gun fight. But what about Las Vegas you might ask. Las Vegas was terrible. Las Vegas should not have happened. But even anti-gun Dianne Feinstein said “I’m not sure there is any set of laws that could have prevented it [Las Vegas].” Furthermore, the shooting was not made worse by a bump stock – it simply made it sound scarier. Based on the information we currently have, the shooter used a non-magnified optic and bump fire stocks for his 350+ yard shots. This sprayed bullets all over the place in an inaccurate manner, even after the crowd scattered. A magnified scope on a semi auto rifle would have been more effective – but those are not currently under attack by the anti-gun movement. As previously stated, this vaguely worded bill will ban bump stocks, but not prevent bump firing in any way. Instead, it will ban many parts and accessories used in semi-auto rifles and give the ATF broad sweeping control without any Legislative oversight to ban almost any device related to the cycling of the action of a rifle. This bill could effectively ban semi-auto rifles as we know it – and that’s the point of the bill. The time is now. Call your representatives and urge them to oppose the bump stock ban bill. This bill will do nothing to save lives and instead will end semi auto rifles as we currently know them, and that’s the point of the bill. 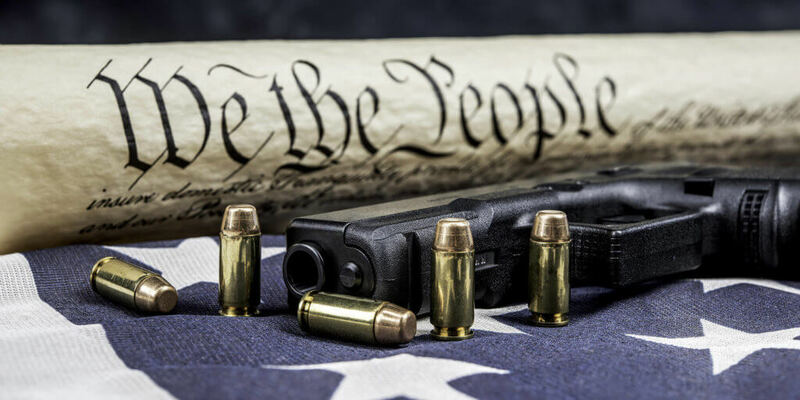 If you want to preserve our 2nd Amendment rights, call your representative. Don’t sign a petition and think that’s enough. Don’t like and share something and think that’s enough. Contact your representatives and tell them to oppose this bill. Once you’ve contacted your representatives, contact all of your friends and urge them to contact their representatives to oppose bump stock ban bill. UTG AR-15 A2 Stock with Complete Stock Kit, by Leapers Inc.